It is copyright © Kristina Marie Darling and Jacket magazine 2009. See our [»»] Copyright notice. Within the past few years, a number of female poets have published collections that rely on concrete imagery to evoke a subjective response in the reader. Rebecca Black’s Cottonlandia, Ashley Capps’ Mistaking the Sea for Green Fields, and Julie Doxsee’s Undersleep are merely a few examples of work that allows tangible details to serve as loci for complex philosophical ideas. When thinking of these books as examples of what editors consider publishable, one can safely assume that a preference for image over abstraction has emerged within the contemporary poetry community. With that said, these aesthetic inclinations can easily be can be traced to the Imagist legacy of H.D., Ezra Pound, Marianne Moore, Richard Aldington, and other members of the early twentieth century avant-garde. With Pound’s demand for ‘clarity of expression through precise visual images’ came an entirely new framework for conceptualizing poetry. For many readers, Hilda Doolittle embodies the connection between poetry’s high Modernist past and its image-laden present. A writer whose work has been described as ‘crystalline,’ H.D. drew from this rich tradition in each of the varied books of her career--the early Sea Garden, her many novels, translations, memoirs, and such long poems as Trilogy and Helen in Egypt. In this respect, she constantly refashioned the principles of Imagism as relevant to the literary and cultural moment that she inhabited. For H.D., the ‘precise visual image’ remained a vehicle for discussions of love, war, and personal tragedy well into the mid-twentieth century, when such groups as the Black Mountain Poets, the New York School, and the Confessionalists had also begun to emerge. In the Jacket feature that you are about to read, articles exploring the origins of Doolittle’s variation on Imagist poetry are paired with work by modern female writers who find inspiration in her technique. By creating such a juxtaposition, I hope to show that, just as H.D. continually revised her own definition of Imagism, women poets today continue to rework this literary tradition, rendering it salient to their own lives and literary communities. Jacket also has the privilege of publishing artwork inspired by H.D.’s work, an endeavor that suggests the relevance of the poetic image across artistic mediums. Enjoy! 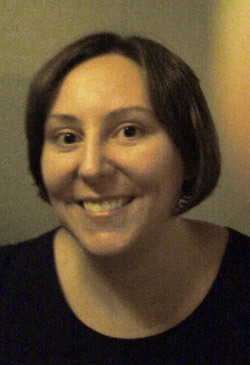 Kristina Marie Darling is a graduate of Washington University, where she received both an undergraduate degree in English and a master’s degree in American Culture Studies. Eight chapbooks of her work have been published, among them Fevers and Clocks (March Street Press, 2006), The Traffic in Women (Dancing Girl Press, 2006), and Night Music (BlazeVox Books, 2008). A two-time Pushcart Prize nominee, she has also written on contemporary literature for The Boston Review, Modern Language Studies, New Letters, The Colorado Review, Shenandoah, Pleiades, and other journals.